Utilizing security awareness training and phishing security tests can be a useful and effective tool to reduce unintentional insider threats. However, if robust metrics are not put in place, phishing tests can create organizational social engineering blind spots. What is the breakthrough point in an organization's phishing awareness level? What metrics need to be put in place to prevent social engineering blind spots? 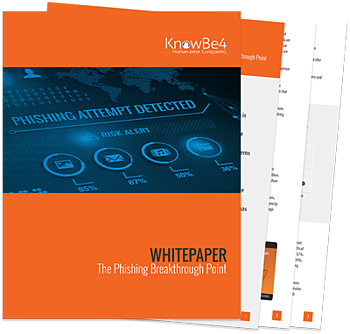 How effective can phishing awareness training be in protecting your network?